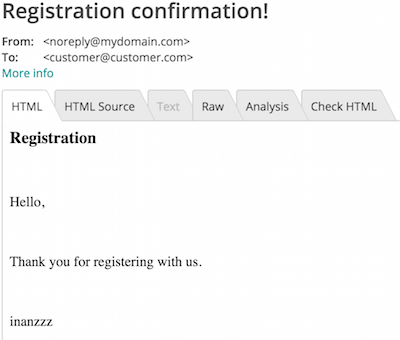 Example below shows us how to send emails with Swiftmailer. We're going to use Mailtrap which is a free and great dummy email testing tool. If you don't use Mailtrap settings below, emails won't be triggered but you can still see the email in symfony profiler. 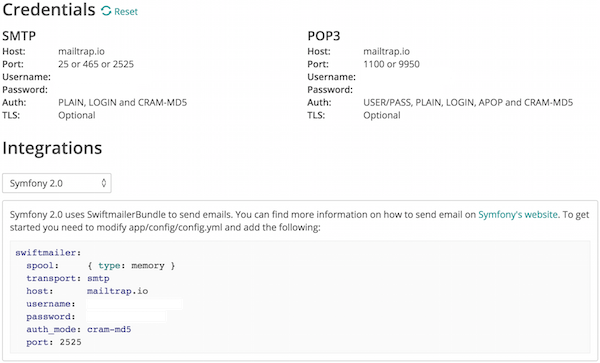 If you use Mailtrap settings like we do, you'll see the emails in Mailtrap inbox. This would send the email in normal environment. This would create football/app/cache/test/email/spool/default/HolnCItlkD.message file containing the details of email in test environment.